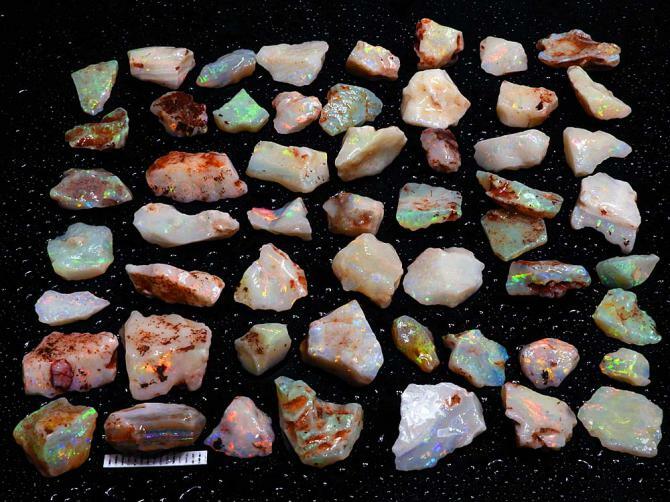 Nice mix of size and dark/light opal in this 2.18 ounce rough Shell Patch opal parcel. Medium/small sizes with nice bright colors. 68.0 grams or 2.18 ounces.